Guess who’s got a brand new lip obsession? Just incase I didn’t have enough lipstick, I’ve only gone and tried the Lipstick Queen Cupid’s Bow pencils. 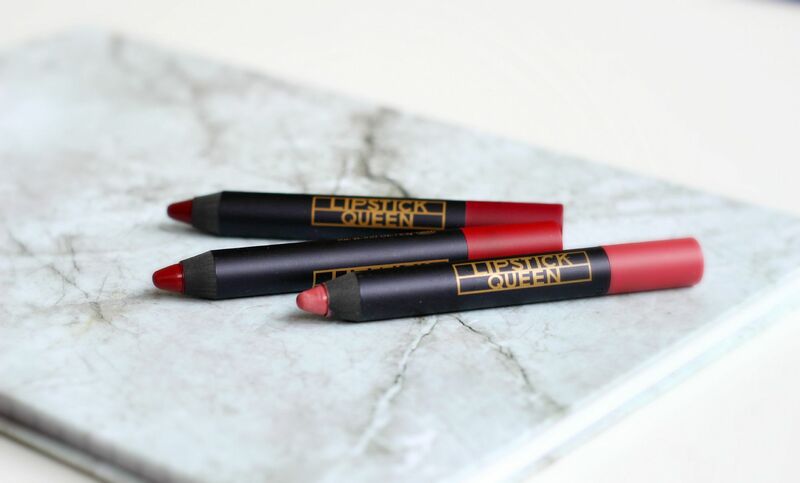 Lipstick Queen is one of those amazing brands that produce genuinely amazing products but don’t seem to get as much hype in the blogging world. 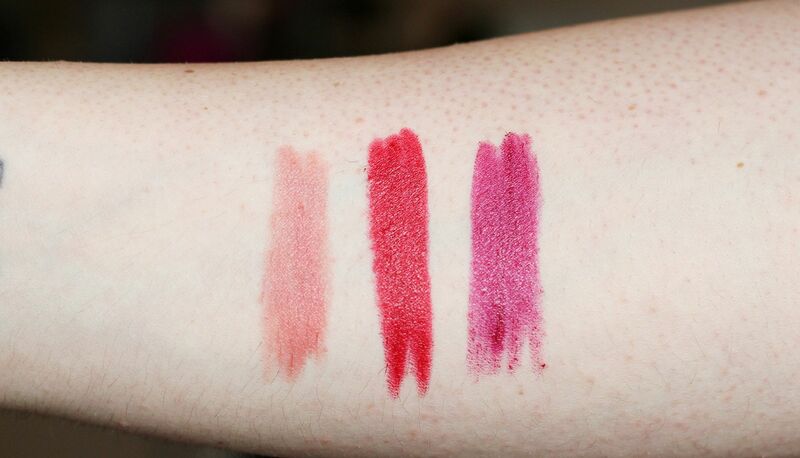 No idea why, because the matte sinner lipsticks are some of the best out there. I did a whole post on Lipstick Queen here actually. My new obsession, though. 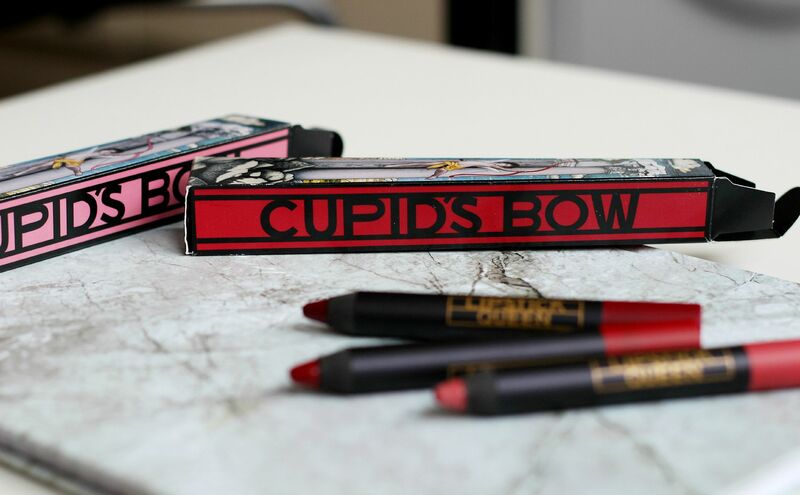 The Cupid’s Bow pencils. I saw these on Helen’s blog and knew I needed them… turns out I ended buying some of the same colours as well. Not even going to lie, I was most interested in these when I saw the names. I read ancient history at University, so I find mythological inspired names really exciting. I know, I’m too much. Full names are: Apollo, Daphne, Desire, Eros, Golden Arrow, Metamorphoses, Nymph and Ovid. I mean, come on. I did not even stand a chance, because all the names are fabulous. I managed to whittle down my choices to three, but I am going back for sure. I went for Golden Arrow, Ovid and Apollo (swatched in that order above). Mmm. 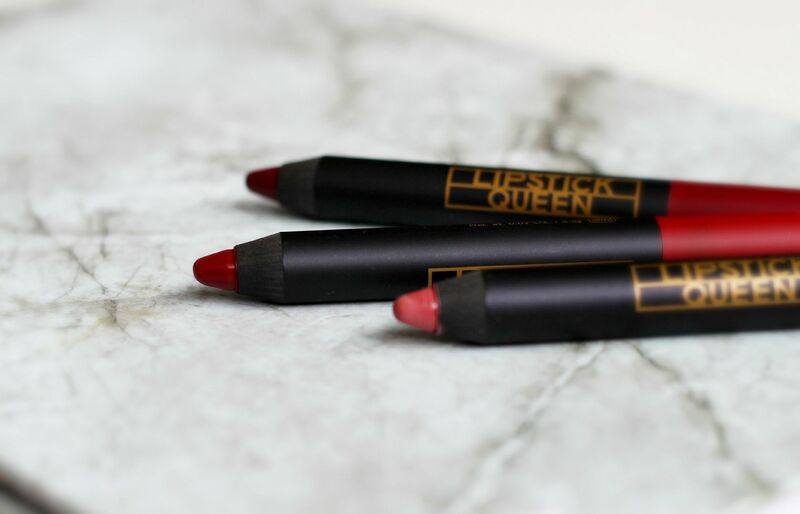 The product comes in a NARS style chunky pencil that makes it ridiculously easy to colour in your lips. The formula of these is really nice – it applies almost glossy at first, and a bit soft on the lips but then they dry down to a satin finish and leave behind a gorgeous stain. They are just so rich and saturated in colour, which makes them a dream to apply. Ovid in particular is so long-lasting and leaves the nicest finish on the lips. p.s. The boxes they come in? I was dangerously close to keeping them in a hoarder fashion.